羅素： Russell to The Nation , 28 Oct. 1920 , in id. 1968 , p. 139 ； ▲ cf. ibid. : pp. 126 -127. 徐特立說： 見 Band & Band, p. 250 . 伯樂佛： 電話訪問伯樂佛的兒子， 1998-5- 24 ； ▲ 伯樂佛的兒子給筆者的信； ▲ VKP vol. 1 , pp. 28 , 48 , 744 . 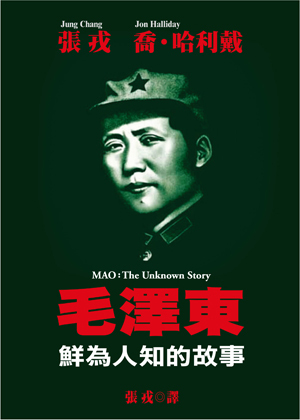 毛的穿著： 1960 年代黨史學者就毛 1927 年以前生活對毛的親友所作的訪問紀錄 ； ▲ 蕭瑜 ， 《我和毛澤東行乞記》 ； ▲ 彭述之回憶，見 Cadart & Cheng, p. 159 . 第二次去北京見到胡適 ： 《毛澤東早期文稿》， 第 494 頁； ▲ 《毛澤東自述》 ，第 37 頁； ▲ Snow 1973 , pp. 153 ff . 維經斯基在中國： Shevelyov 1981 , pp. 128 , 130 ； ▲ Glunin ，見 Astafiev et al. 1970 , pp. 66 -87 ； ▲ VKP vol. 1 , pp. 28 , 38 , 48 . 《新青年》成為中共喉舌： Shevelyov 1981 , p. 131 . 蘇俄信誓旦旦空話 ： Elleman, p. 28.